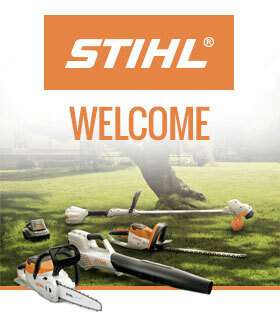 STIHL wasn’t always the world renowned brand it is today. In fact, it was started in 1926 by one man, with a vision for excellence – Andreas Stihl. 90 years on, that very same family still owns, manages and nurtures the STIHL brand, with the same dedication to excellence they always had. This is why it’s so important that STIHL tools are only sold by the best; all STIHL and VIKING products are sold exclusively through our dealer network. This carefully selected team of independent and local businesses across Great Britain offers the service, expertise and personality that the STIHL brand affords. Many also started as, and still are, family businesses. as a small business I find customer service essential…my dad once said “people buy from people” and I believe this is ever so important in having a successful small business. I love being a local business because we can help build the local community and be part of it. It feels like we are a meeting point for the locals to catch up with each other, feels like a family! We love being a local business as we can offer friendly expert advice and are able to go that extra mile to make sure the customer gets the best service and product knowledge available. Being dependable for our customers…Supporting other local businesses…Enjoying what we do every day. We even joined the team at Small Business Saturday UK on a visit to 2 STIHL dealers, to find out a bit more about why being a local business is so special.